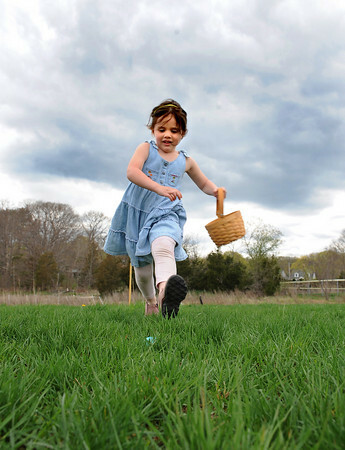 Essex: Lily Lower 4,of Gloucester runs towards her first easter egg saturday afternoon at Memorial Field. The Easter egg hunt was sponsored by Manchester-Essex Rotary Club. Desi Smith/Gloucester Daily Times.